Whenever a red carpet event as well known for fashion as the Grammy’s takes place, we just have to show you what the celebs wore on their feet. The 55th Annual Grammy Awards took place in Los Angeles last night, and we spotted several celebs in noteworthy shoe styles. Kat Von D rocked red Alexander McQueen sandals, and J-Lo was spotted in Tom Ford. All the ladies we’ve featured know how to shine on the red carpet, so we had to share! The American tattoo artist, model, musician, entrepreneur, and television personality styled her wedges with a slinky, calf-length Derek Lam dress. 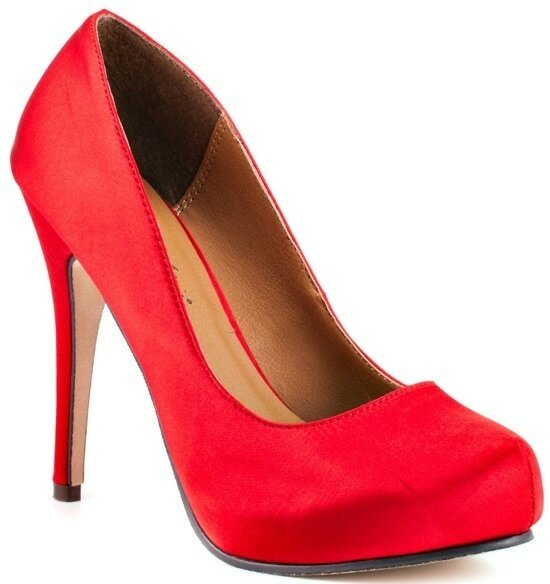 We found the same style of McQueen heels as Kat’s, but they’re only available in dark pink at Neiman Marcus. Take a look. 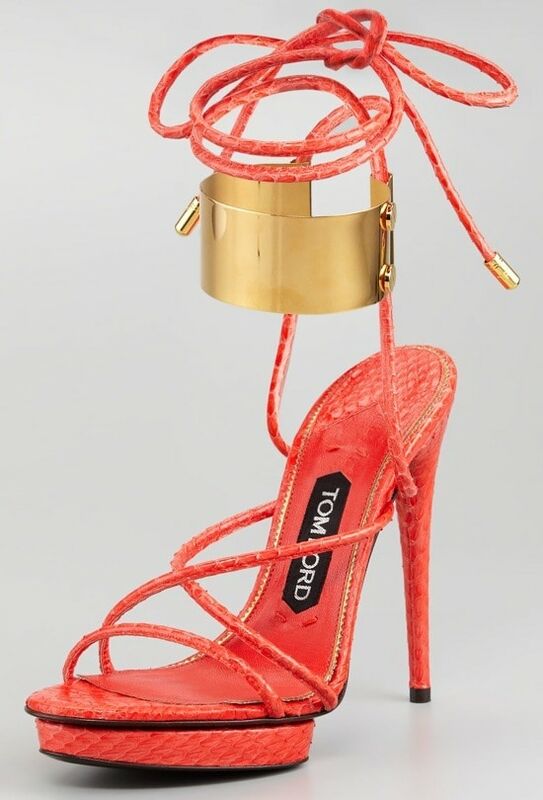 J-Lo’s Tom Ford sandals are impossible to find in black at the moment! 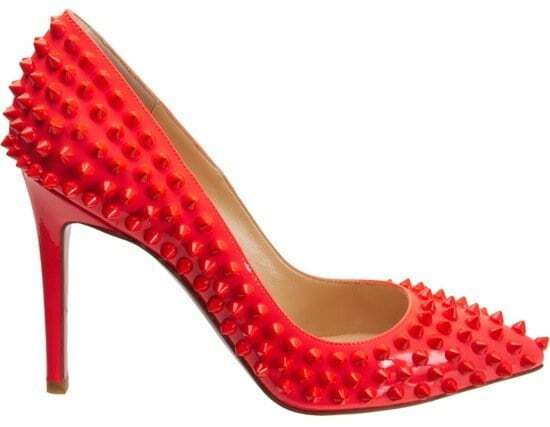 However, we discovered them in coral at Neiman Marcus. Check ’em out. You can find her leopard print upper heels at Amazon. We’ve seen these heels before, but Carrie’s bright yellow dress really sets them off! 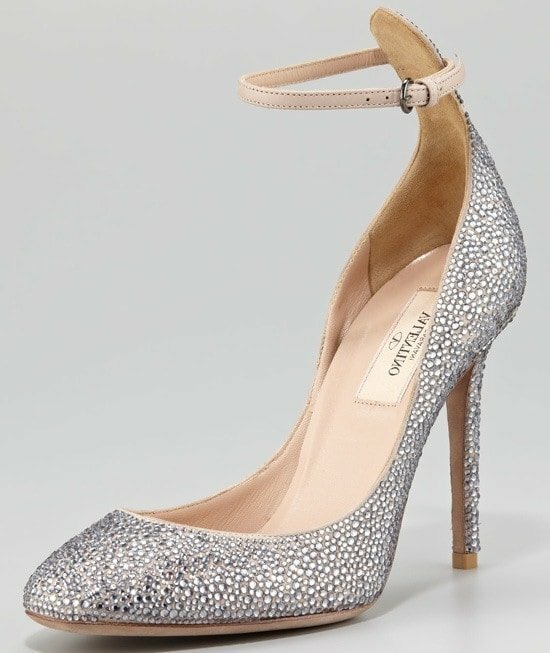 We couldn’t find Maria’s exact style, but we’re almost positive they’re from Jimmy Choo. We did find this similar gold sandal below at Nordstrom. We couldn’t find out who makes these modern silver sandals. Do you happen to recognize them? I honestly have no idea who made these heels. We searched for a similar (or the exact same) style online but only found this Michael Antonio style below. I think it would have the same effect as Natasha’s ruby slippers above. Alexa’s sweet-meets-sophisticated look is created by adding these glam pumps to a feminine and much more casual sundress. Solange really played up her green dress with these bright red heels! Do you like the combo? What do you think of these celebrity heels?